﻿ How to setup EA? Thread: How to setup EA? Hello, I am new to forex. I want to know how to setup an EA? How to setup it and enable it. you can trade in forex trading if yopu know how to manage the money with right and how to analysis with powerfull strategy.. so you can earn profit in forex trading. 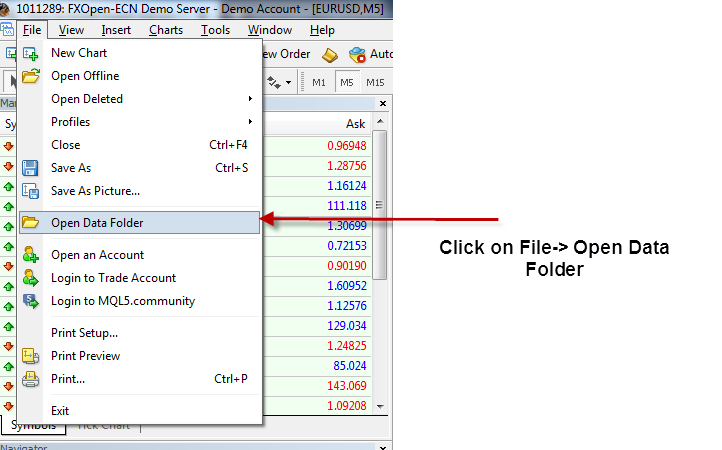 Step 1: You can Download Top Forex Expert Advisers from MQL5 website. Copy the downloaded EA file and Paste in the Experts folder. Step3: Now Close the Opened folders. Last edited by Resolve; 09-03-2018 at 03:09 PM. Step2: Go to the Navigator window. You can Install any Expert Adviser in the Meta Trader 4 and the process remains the same as given above. When you are downloading an EA make sure that you have read the steps on how to setup the various parameters that it uses so that your trading results are achieved.